DNA Test in Anand Gujarat can be done with comfort now. DDC Laboratories India has opened up collection centers all over India. These collection centers have been set up keeping international quality standards in mind at the same time catering the needs of Indian clients. Our DNA testing results are reliable and fast. We provide DNA tests for Paternity DNA Test, Maternity DNA test, Ancestry DNA test, Immigration DNA test and other relationship DNA test. We also conduct DNA tests for crime cases, infidelity and also to identify dead bodies. We are affiliated to DNA Diagnostics Center Inc. USA, the world leader in providing AABB accredited DNA testing services. We provide high quality DNA testing services ensuring high accuracy of the reports at affordable charges and as per government norms. We strive to deliver accurate and indisputable DNA test results in a timely manner. Our collection center allows us to collect your DNA sample nearby your office or home. 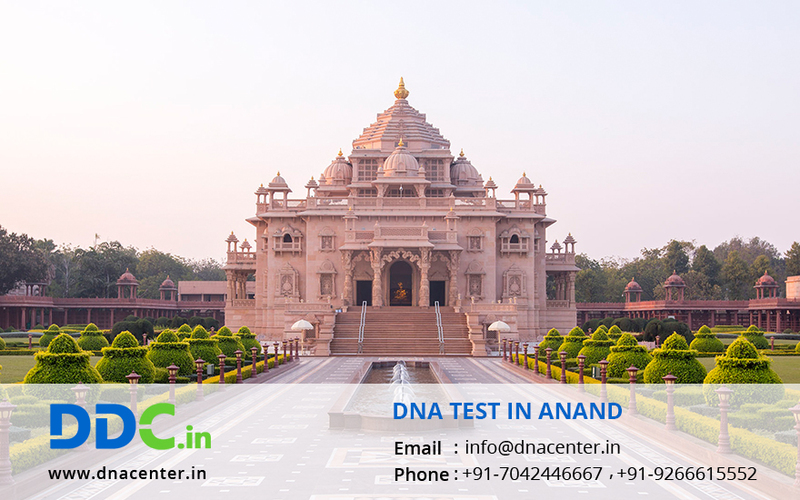 For any queries related to DNA test in Anand Gujarat please fill the form and our executive will contact you. To know more give us a call or to make an appointment at: +91 7533008488.